'Sit you down' my German grandmother used to say - and what better place to park your b-hind than on this fantastic sofa from the Sofa Workshop. Sadly I don't live in a place grand enough to house such a thing, but it looks mighty comfortable, the perfect place to watch 'Mary Poppins' as you digest your Christmas dinner. 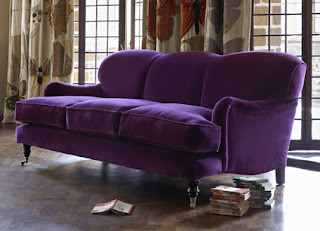 The Sofa Workshop are proud that all their sofas and chairs are hand made in Britain and it is made to last - none of your IKEA chipboard and cheap-o padding stapled on. Click here to find your nearest store; the website shows a 30% discount at the moment, so grab a bargain. 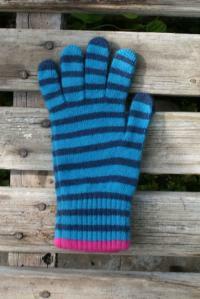 Just the thing for snowy weather - gorgeous gloves and other knitwear made by Quinton & Chadwick available online, and from stockists (Anna in Primrose Hill). Spotted at the Selvedge Christmas Fair: Wallace & Sewell - fine silk woven scarves in vibrant colours. 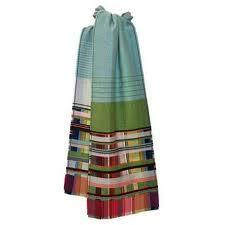 I like this silk and cashmere 'verbena' scarf, the aqua blue and green is a great combo. They also make textiles for interior furnishings - throws and cushions - which would brighten up any gloomy December day. Both Quinton & Chadwick and Wallace & Sewell have ranges available at the Designers at Tate. 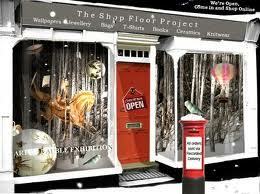 The Shop Floor Project, a one stop internet shop where you can buy a range of designers, many of them British made... open the red front door, and follow the signs to your favourite department. 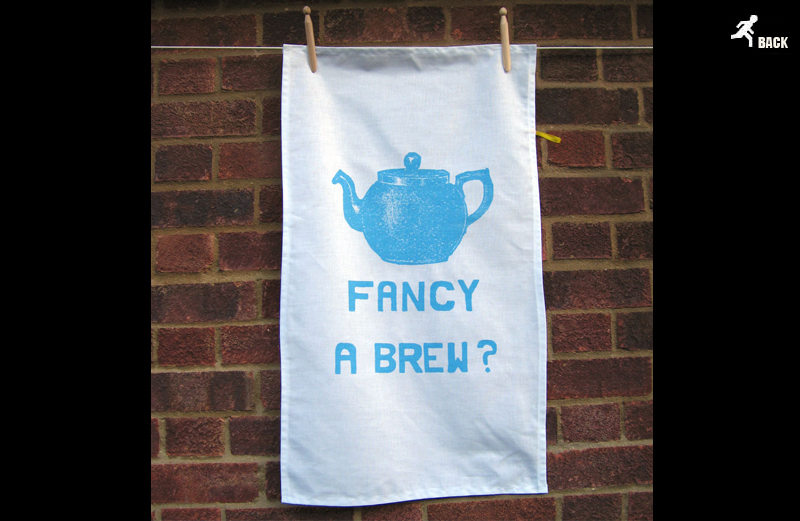 Get yourself some tea towels for the inevitable mountain of washing up this Christmas - these are by Megan Price, who is based in Manchester. Designs are inspired by vintage signs, packaging and seaside cafes. 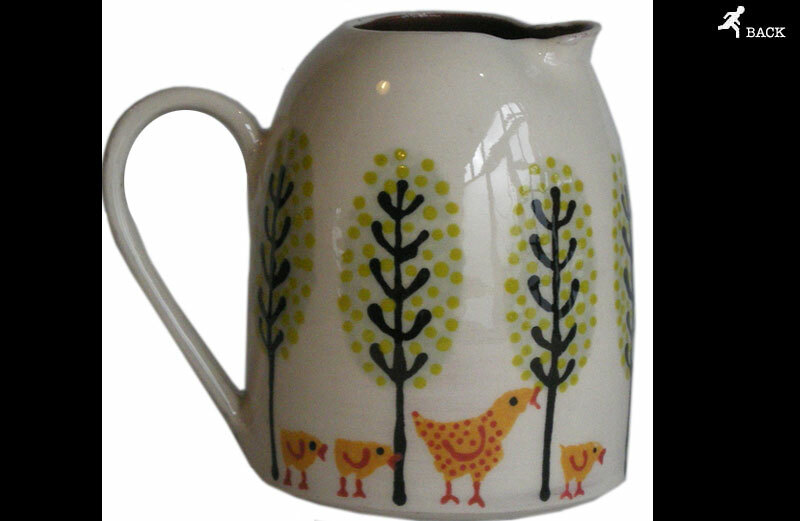 which are rather reminiscent of the German-made ceramics we used as children featuring chickens (which used to be available from John Lewis but alas no more). This is a great Christmas card - a scratch card where everyone's a winner. Available from Present & Correct, stationery obsessives for the stationery obsessed. 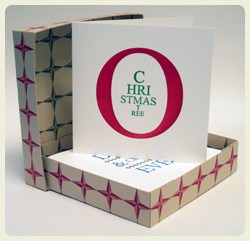 For those that want retro stationery products and prints, there are some great letterpress goodies to be had. 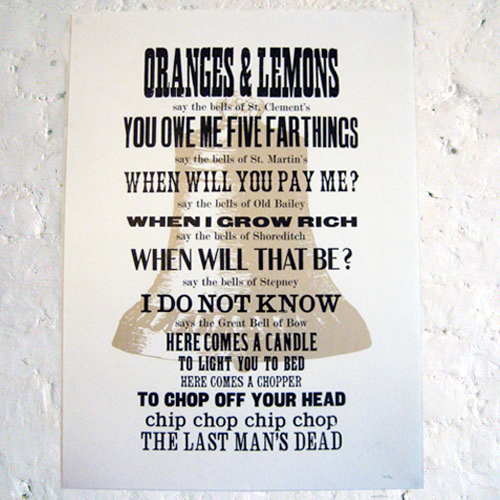 SORT (the Society of Revisionist Typographers) are based at Cockpit Arts Studios, Holborn. Fantastically handlebar moustache-esque, SORT make a range of cards and notebooks available through their Etsy webstore, and also wedding stationery (email them for a catalogue). 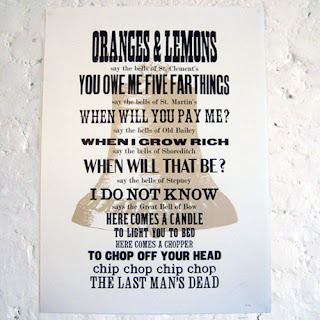 The New North Press based in Hoxton produces some lovely prints like this one of the Oranges and Lemons nursery rhyme - for the cockney sparrar in you. 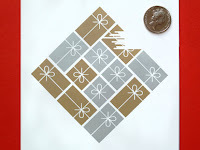 Also check out Papermash which has a range of cards, notelets, and gift tags - when asked to 'Bring a Bottle' these tags are a good finishing touch. Nothing like a bit of honesty, eh? 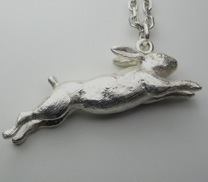 Some rabbits and hares - perfect stocking fillers, non? Family Tree's green rabbit brooch available from the Tate on-line shop. 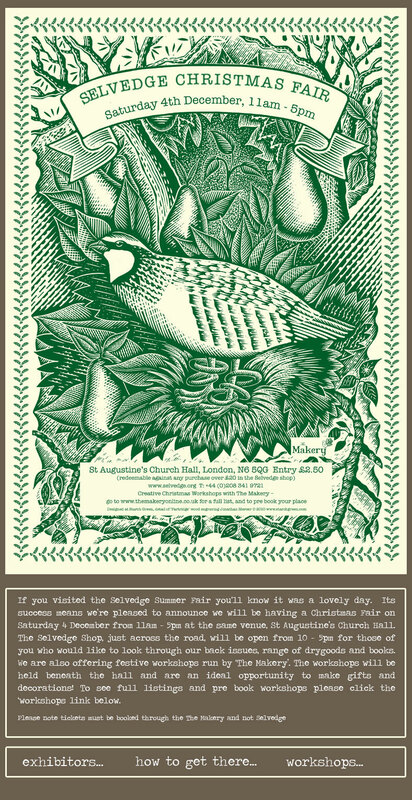 On Saturday I popped along to the Primrose Hill Designer Fair - lots of great Christmas present buying opportunities. Clara Francis was there with her beaded butterflies and other creatures. I particularly love this necklace with butterflies, flowers and hummingbird, pictured here with a silver bee necklace. More necklaces...and some of her classic butterfly and moth necklaces. Quniton & Chadwick, scarves and hats made in Scotland, was also there. This one is wool and angora, super cosy. If the large elephant is a bit beyond your budget, here is Cabinet Studio's miniature elephant - so sweet! 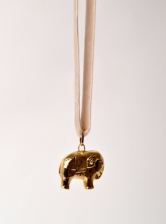 There are lots of charm necklaces out there, and I think this elephant by Cabinet Studios is one of the best that I've found. Cabinet are a newly established by Gemma Critchley and Zara Braganca, and their jewellery ranges from large statement necklaces and collars featuring textiles and beads, to smaller charm necklaces featuring an eclectic mix of animals, and earrings and rings in simple chic geometric shapes. Contact Cabinet directly here at their Somerset studios; their fine jewels are also available from Young British Designers, and shops such as Kabiri. T.G.Green first made red Cornishware in the 1950s which was only available for a short while. 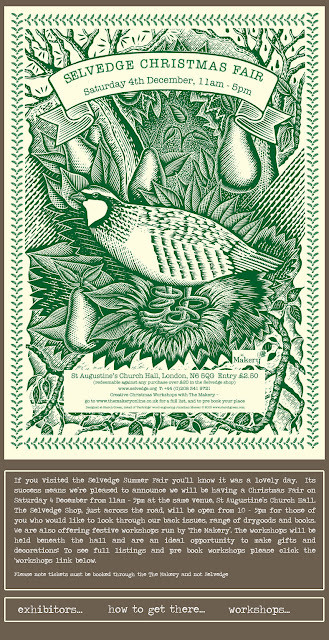 It is now available again, on-online here - perfect for Christmas presents. Traditional blue and other colours are also available from the T.G.Green website. 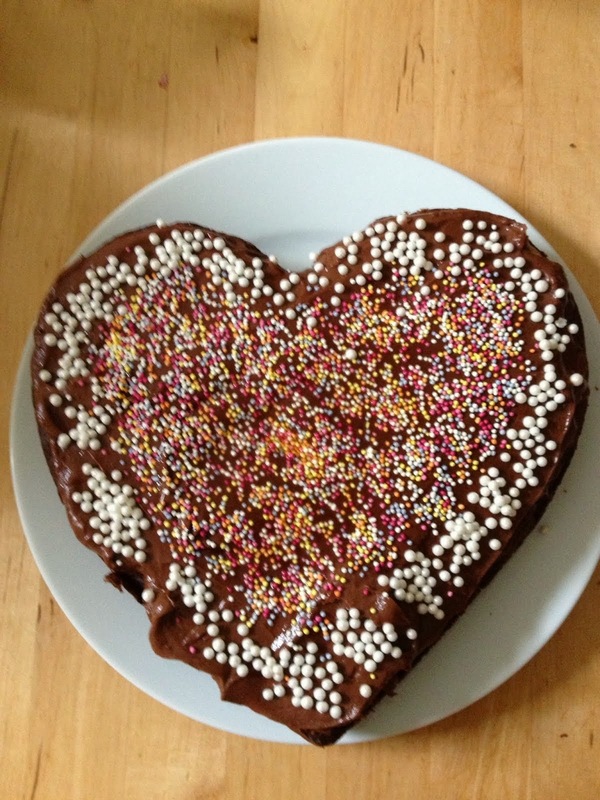 162 Archway Road, N6. 11am - 5pm. 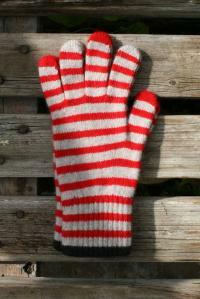 Exhibitors include Jo Gordon (Scottish knitted hats and gloves), Sukie (stationnery), Noolibird (children's bedroom decor and stamps for crafting) and Wallace Sewell (textile interiors and scarves).